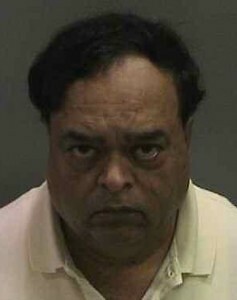 Yashwant B. Giri, the OC Anesthesiologist accused of molesting patients while they were unconscious, has pled not guilty to two felony counts of sexual assault. The judge in the case also ordered Dr. Giri to cease practicing medicine. Giri faces up to eight years in prison if convicted of the crimes. The first incident occurred in 2009, and a nurse reported it immediately but hospital officials never reported the crime to the police. It is unknown what internal disciplinary action occurred. The apparent failure of Placentia-Linda officials to report the 2009 incident is disturbing and certainly could form the basis of a lawsuit against the hospital. As the spokesperson for the Orange County District Attorney’s office has stated, had the hospital come forward with this information in 2009, it is likely that the 2011 incident (and perhaps many others) would not have occurred. There seems to be a real potential that there are many other victims of abuse by Dr. Giri,and that many of the victims may not even know they were victimized because they were under anaesthesia at the time. Our firm handled a very similar case several years ago in which a respiratory therapist at a convalescent hospital had sexually molested a number of severely brain-damaged children. These children could not speak and could not tell anyone of the abuse that they were forced to endure. It was only because the therapist ended up confessing to the abuse that some of the victims were able to be identified. In the case of Dr. Giri, one hopes that hospital employees and/or patients will eventually be able to fill in some of the missing pieces of evidence that will allow law enforcement to seek the appropriate level of criminal punishment against this person who horribly abused the trust that his patients (and fellow doctors) had placed in him. Authorities suspect that there are more victims and are asking those with information call Supervising Investigator Lour Gutierrez at (714) 347-8794.